Drago Ivanuša’s solo piano project La Bête humaine (The Human Beast) – referring to Jean Renoir’s famous movie from 1937 – brings musical view of the times we live in, the position of the individual in a world full of tension, so similar to those times when La Bête humaine was made. The program is built up from compositions with improvised parts, all of them energetic, full of harmonic textures and polyrhythms. Ivanuša’s music is expressive, eclectic and unpredictable. He makes good use of his experience in theatre and film, which gives his music a strong, exact dramaturgy and exciting content. He is drawing inspiration from different jazz and classical composers and performers, like Bill Evans, Cecil Taylor, Luciano Berio, Vinko Globokar or Tomaž Grom. “The piano is the most socially present musical instrument, the musical personification of history, the idiom of human nature and culture, of the bourgeois class, played by almost every child. That is why the piano is the instrument, which most accurate and complex echoes our society, its conflicts and its beauty.” says pianist and accordionist Drago Ivanuša, one of the most active Slovene composers of film and theatre music, about La Bête humaine. Since 1991 Ivanuša has written music for about 130 theatre and dance performances, for more than twenty films, plus numerous compositions for chamber groups and orchestra. He has worked with some of the best Slovenian directors and choreographers. Slovenian cinematography experienced a renaissance in the nineties, and Ivanuša’s cooperation with outstanding directors resulted in a number of internationally awarded films (Bread and Milk, directed by Jan Cvitković, received the Golden Lion of the Future at the 2001 Venice film festival). Now he also works with the younger generation of film directors. As a pianist and accordionist, he works with various groups and musicians in Slovenia and abroad. 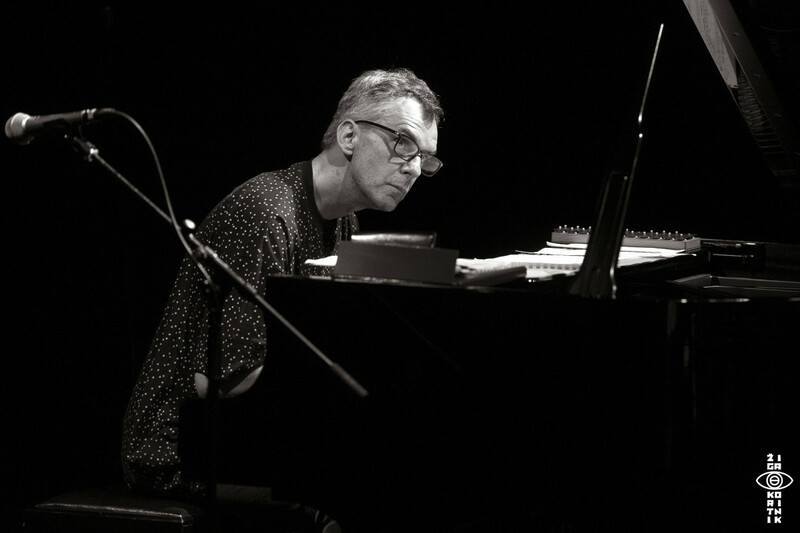 Ivanuša has published a number of independent albums and he also appears on the recordings of the groups he regularly works with (Muskafiber, Štefbet Rifi, Bast, Bossa de Novo, Brina) and on dozens of albums by other musicians. Two instruments – one musical journey. Kristijan Krajnčan’s one of a kind manifestation of sound is bringing together two diverse musical worlds. Drums and cello, sticks and strings in one skilled, versatile and genre defying performance, in a true one-man-duet. Rhythm, harmony, melody and improvisation carefully shaped within an unique musical vision by Kristijan Krajnčan, a drummer, cellist, composer and filmmaker. 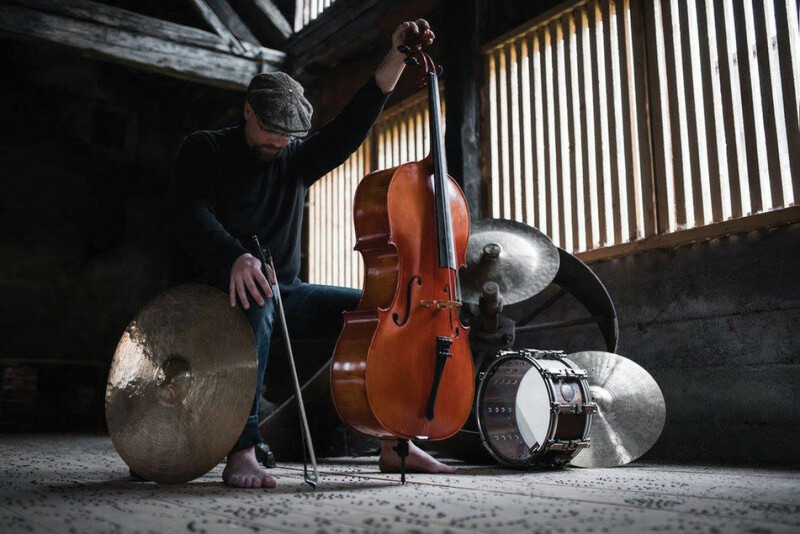 Distilling contemporary jazz, classical, film music and other genres are melting into complete sounding storytelling, DrummingCellist presents an exciting, fresh, daring, colorful and out of the ordinary approach. Music that moves fiercely and gracefully across borders, beyond average, beyond the usual, beyond standard confinements, exploring possibilities of two paramount instruments with a pure and complete artistic vision of sonic discovery. Kristijan Krajnčan’s ability to play various music styles in groups that range from trio to big band gave him the opportunity to work with several internationally acclaimed artists. As a drummer and cellist he is featured on 25 records and has performed in more than 25 countries in Europe, USA, Asia, Middle-East and Africa. Visitors of Opus could met him recently in October, as member of Alex Simu Quintet, presenting a marvellous concert in the club. As an award-winning film-music composer he scored three features and nine short films, and he also has directed several short films and music videos of classical, jazz, chanson and rock genres. His debut album as a leader of the Kristijan Krajnčan Ensemble, Siberian Bear was released in 2012, featuring Ambrose Akinmusire and Jimmy Greene. Krajnčan is a founder of the interdisciplinary project “Hidden Myth”, a collaboration of several international artists, in which they connect music, dance, poetry, visuals, film, and the world of mythology into a united story. DrummingCellist is his most recent solo project, in which he performs both drums and cello; classical music and jazz. Krajnčan has always been interested in connecting conflicting ideas, because for him “in its inner core, there is no difference between Bach and African music”. All artists programmed in the two days of SlovenijaJazz & Beyond were also selected performers in the Slovenia Showcase program at European Jazz Conference in Ljubljana 2017.